Working as Captain on Commercial Vessels in Great Lakes at this time. I retired June 2016 from N.O.A.A./G.L.E.R.L as Captain of Research Vessels on the Great Lakes after 8.5 years. 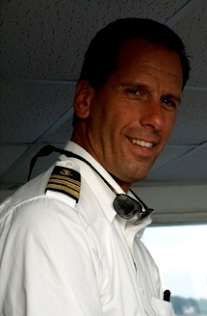 Master Captain or Licensed Officer/Mate aboard private Motor & Sail yachts. Mate on a 70', 75', 80', and 100' Motor Yachts out of Ft. Lauderdale, Palm Beach & Sarasota Florida with deliveries up & down the East Coast of U.S.A., Florida & Bahamas. Extensive boat deliveries, Sailboat racing and crew; as well as motor boats & yachts on the Great Lakes since 1983. Captain on multiple Bareboat Charters in the Caribbean, Bahamas, U.S. Virgin Islands, British Virgin Islands, and Croatia.